It is 1912. Against all odds, the Titanic is sinking.As desperate hands emerge from the... read more icy water, a few lucky row boats float in the darkness. On the boats are four survivors. Reg, a handsome young steward working in the first-class dining room; Annie, an Irishwoman travelling to America with her children; Juliet, a titled English lady who is pregnant and unmarried, and George, a troubled American millionaire. In the wake of the tragedy, each of these people must try to rebuild their lives.But how can life ever be the same again when you've heard over a thousand people dying in the water around you? Haunting, emotional and beautifully written, Women and Children First breathes fresh life into the most famous disaster of the 20th century. 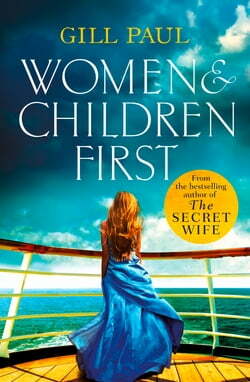 A gripping read from the bestselling author of The Secret Wife.